If 599 or fewer swimmers entered in an individual event are participating in the meet, the A and B Finals will be open to any age, based on that day’s preliminary heat results, and the C Final will be open to 18 & Under athletes only. 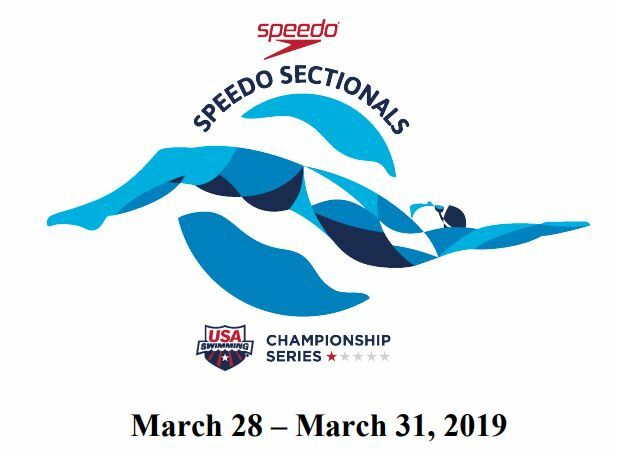 If 600 or more swimmers entered in individual events are participating, the A, B and C Finals will be open to any age, based on that day’s preliminary heat results, and the D Final will be open to 18 & Under athletes only. Finals will be swum D-Final, C-Final, B-Final, and A-Final (in that order) in the evening session, unless otherwise noted. 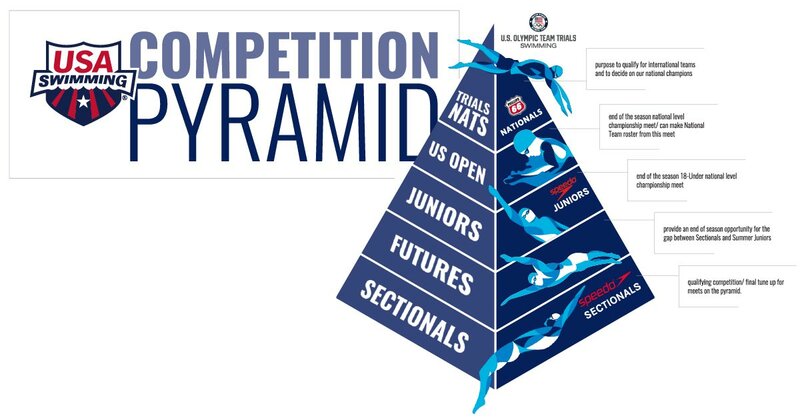 How does the Ncsa meets fit in this pyramid? Thanks for the information! Essentially between Futures and Juniors time wise. Yes, NCSA Juniors arose when USA Swimming dropped their Junior National (East/West) meet that was traditionally held in the Spring. Now, both meets exist, with USA Swimming Juniors is held at the end of Summer (https://www.usaswimming.org/utility/event-pages/event-detail/2019/08/06/default-calendar/speedo-junior-national-championships) and December (https://www.usaswimming.org/utility/event-pages/event-detail/2019/12/11/default-calendar/speedo-winter-junior-championships-east). Thus the NCSA and ISCA Junior meets are held roughly the same time as Sectional meets, but have qualifying times that are slightly faster than Sectionals.